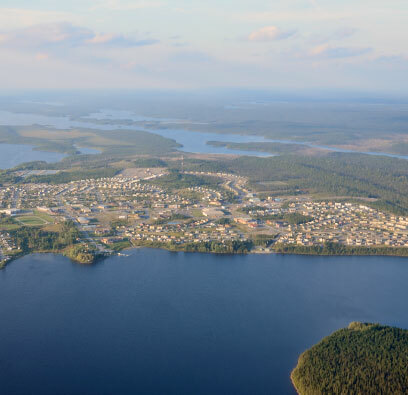 Today Mistissini is a growing community of close to 4000 people nestled on the shores of Mistassini Lake. 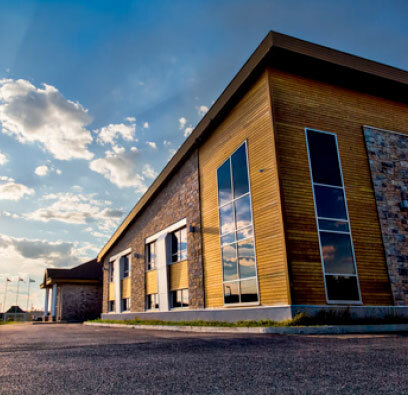 You will find everything you need in Mistissini, home of the largest fresh water lake in Quebec from restaurants to modern lodging; cultural activities; outdoor adventure; innovative architecture; wild nature; medical, banking, groceries, and fuel. What makes the community special? Our community lives a modern lifestyle that is still connected to life out on the land. Those of us that work throughout the year still maintain our culture and traditions. And we still have locals that spend a large portion of their lives living out on the land. Home of the iconic ‘big rock’ Mistassini. We have a history of welcoming guests since the European settlers first arrive. Our openness to receiving guests is instilled in our values as a community and our location was always known as a gathering place during the summer months. We’re off the beaten track, but still accessible. Hunting, gathering, fishing and trapping have been a part of Cree livelihood for generations, and many of these traditions continue today. Our language is still spoken widely in this region, and Cree syllabary is in use throughout the community. 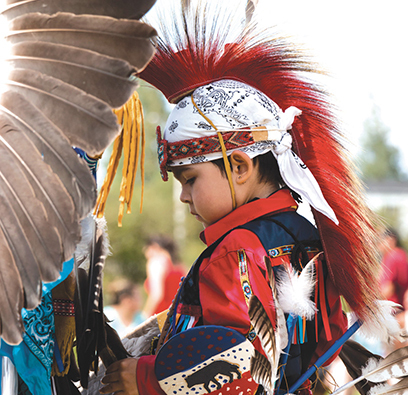 We invite you all to learn from our Elders and to share our traditions and stories of the past. Our relationship with the land is strong. As a community we still take our traditional holidays like goose break and moose break. Come visit us and learn what it’s like to be out on the land. 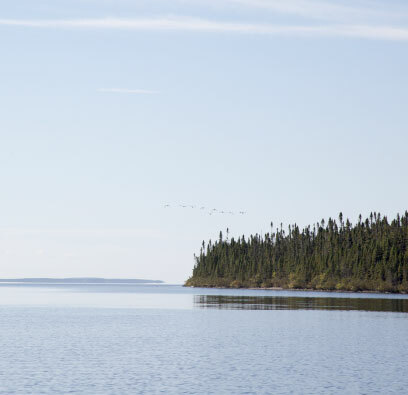 Lake Mistassini is the largest fresh water lake in Quebec and a natural fresh water source. Many visitors are amazed at how clear it is. The majority of our community members fetch drinking water directly from the lake. The Lake is an important aspect of our lifestyle plus it provides ample opportunities for fishing and recreational activities. Our community has been recognized for awards in our creative architecture and design of new building construction. Our newly designed structures are known to use sustainably locally sourced building materials. We are always looking at becoming a more eco-friendly destination and combining innovation and tradition into our new construction in the community. 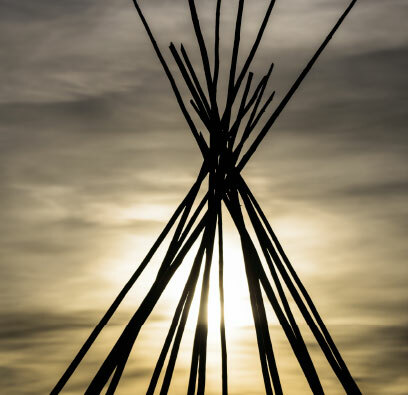 Although our community is growing with modern amenities and services, we are still grounded in our traditions. We have a high respect for our Elders and we empower and invest in our Youth. 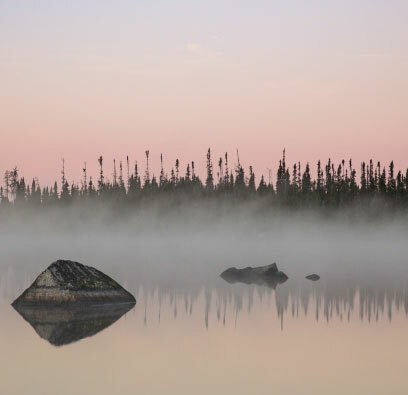 The Crees of Mistissini have resided in the Mistassini Lake area since time immemorial. 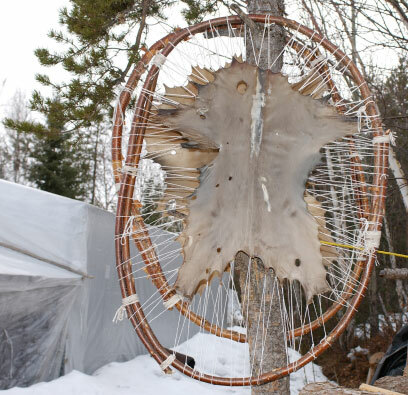 Long before the arrival of the European settlers the Mistissini Crees were surrounded by the forests, lakes and streams of North Central Quebec; and for centuries these resources have provided the staples of their economic and cultural subsistence: fur, fish, and game. ‘Mistissini’, Cree for ‘big rock’, was formerly referred to as Mistassini or Baie du Poste. Beginning in the 1800’s with a Hudson Bay Company fur trading post, throughout the 1900’s with government assistance, and in 1975 with the James Bay Agreement, the region has expanded into a vibrant community of Cree, English and French residents. 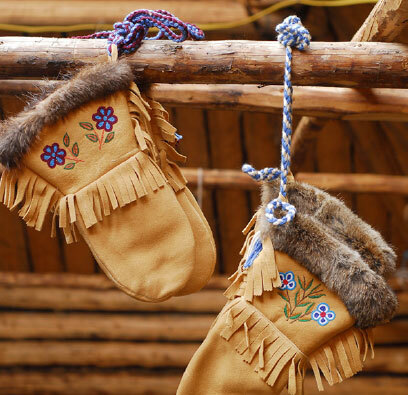 The Mistissini Crees cherish their rich cultural heritage, vital present and vibrant future.